Pale. Thin. Translucent. It might be referencing the archetypal wine from kraters described on our home page. 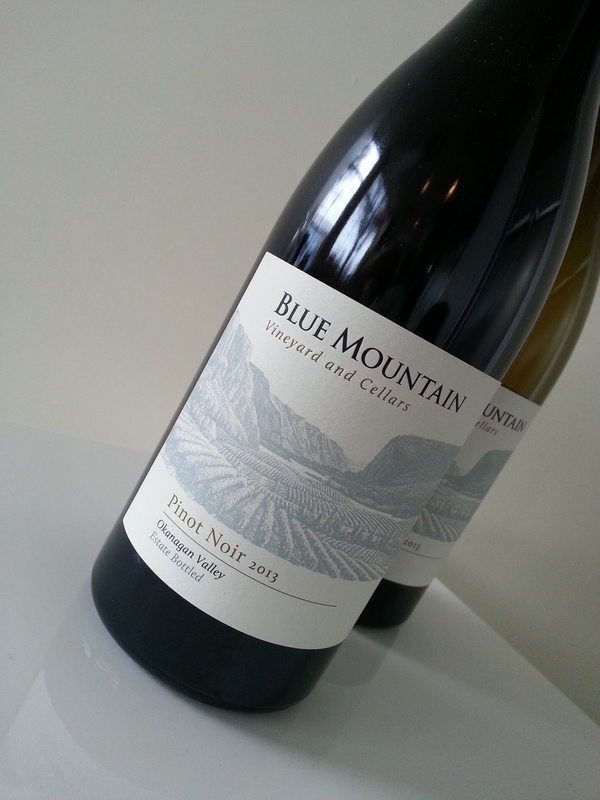 We have a fondness for Blue Mountain (indeed, this was part of a case ordered in March; the website is already wait listed for the stuff, I’m not alone in putting blind faith in their skill. Last year I was rooting around at independents finding the last few half bottles, and paying dearly for the privilege). I would say last year’s “entry level” and premium Pinot were both astonishingly good value; even at 2.5 times the price (yes, that’s you Sparkling Hills Resort) we sipped in pure pleasure. And BM turns out a Pinot which is both evocative of the varietal and the essence of a light and airy Okanagan red. The 2013? You can find glowing reviews elsewhere. As much as I hate to diss BM, this is a nominal effort. It’s so fragile it’s limp. Suffice to say last year’s love-in with BM is over. We will sip away at this decent red at a decent price point, God knows we have 11 more bottles, but it fell to pieces with mild cheese and was absolutely crushed by simple charcuterie. To think they’ve turned out a patio sipper is pure embarrassment. Price: A pretty decent $25 from the vineyard. Market Liquidity: Like spa water; it resembles Pinot in name only. We drink a lot of crap wine. We don’t review a lot of crap wine, I’d rather not waste everyone’s time. But in restaurants, often, and not uncommonly in our search for good value, we over and over again cork a mediocre bottle that finds its way into the stock pot. Cheap, cheaper, cheapest. Such is life in BC. It is astonishing, though, how much forgettable, generic, blah wine adorns the BC Liquor Store shelves. We are all up in arms about the price changes coming down the pike but what is more upsetting is how hard it is to access the variety and depth of the market that lies just 45 minutes south in a little “less than socialist” market called America. That preamble aside, when we put some stock in a vineyard, and they come up short, we feel obliged to be honest in our “praise”. (Witness how annoyed we were with Yalumba a month ago.) BM, hard to find, sells out fast, non-VQA, is generally one of the top BC vineyards (at least in our humble opinion, which weighs expertise with dollar value). 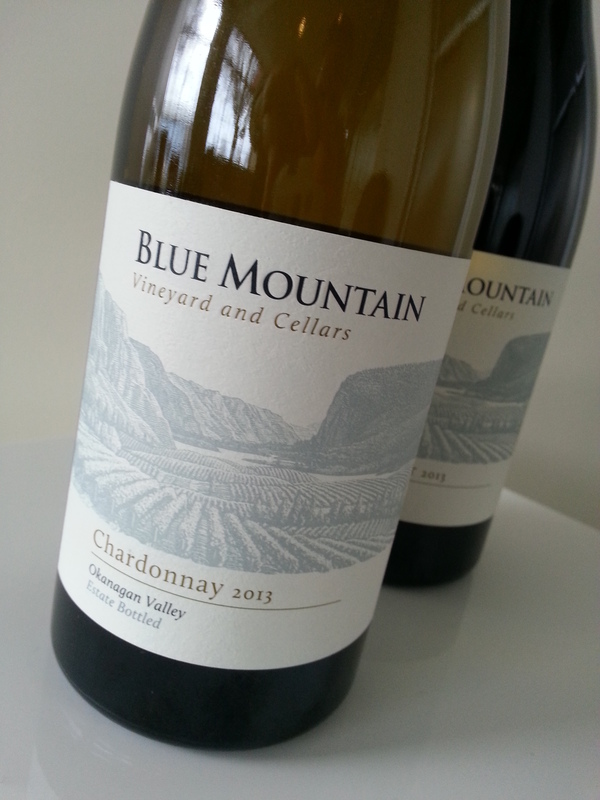 But the base model Chardonnay from Blue Mountain this year is so generic as to be verging on a bar-code. I write that with the utmost respect for BM which turns out a lot of good wine, and we’ve raved about their bottles on many an occasion, but this year’s release is less than forgettable, it’s a wash. (Watch it fetch $50 at Vancouver restaurants.) Hard to stomach–with my half case in the cellar to boot–but stomach we will. Price: An extremely reasonable $21 from the vineyard. Market Liquidity: It’s like our darling of 2014 went anorexic. From the cellar: In a back to back tasting we pulled an HRV Chard from the cellar (only two of the original six remain) versus a recent purchase of the JT, a non-filtered barrel fermented Chard. 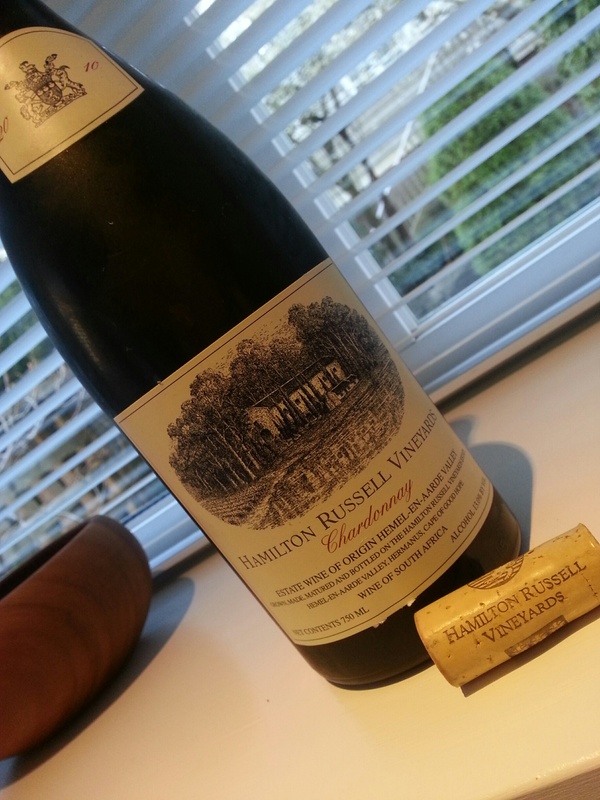 If you like South African whites, and they can be an acquired taste in their nearly primitive simplicity and deeply subtle nuances (witness some of the finest Chenin Blanc you will come across, should you make the trek south), nothing quite beats the Hamilton Russell. Every bottle we’ve had over the last two years gets better. Achingly complex, a delectable contradiction of hard and soft, steel and wood, caramel and lychee, just overwhelmingly interesting. But not to everyone’s taste perhaps. The JT has that homemade hand-hewed rough around the edges feel which begs another glass. Nutty and earthy but soft on the finish. And think of scoring a not-past-it-yet 2008 under $30 in YVR no less. To say we loved one rather than the other is unfair to both except, if it came down to picking teams, I call Hamilton Russell over. Long live the unique and time honored traditions which drive great South African vineyards. Oooh la la. Editorial aside: Excepting the generic plonk so readily available in the export market. SA wines take an inch of extra effort for the consumer. I think, perhaps, that’s why they’ve never caught on in a big way in BC. Lot’s of forgettable piss. Price: No record of the half case of HR I bought a few years back. The 2013 is available at Marquis for $50. 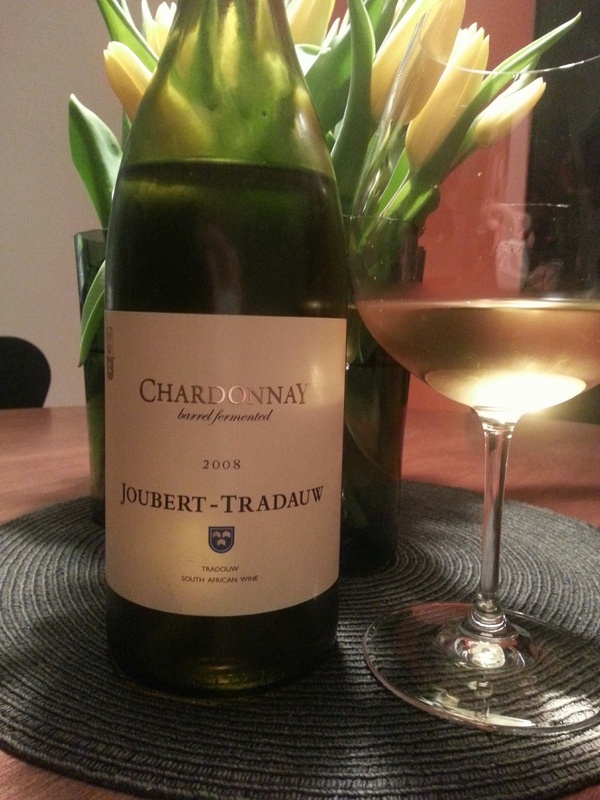 The Joubert – Tradauw is $30, also at Marquis. Such good taste Marquis! I mean compare $30 for the JT to Au Bon Climat or Woodward Canyon or Ridge in Vancouver; half or less. Market Liquidity: Old school goodness.